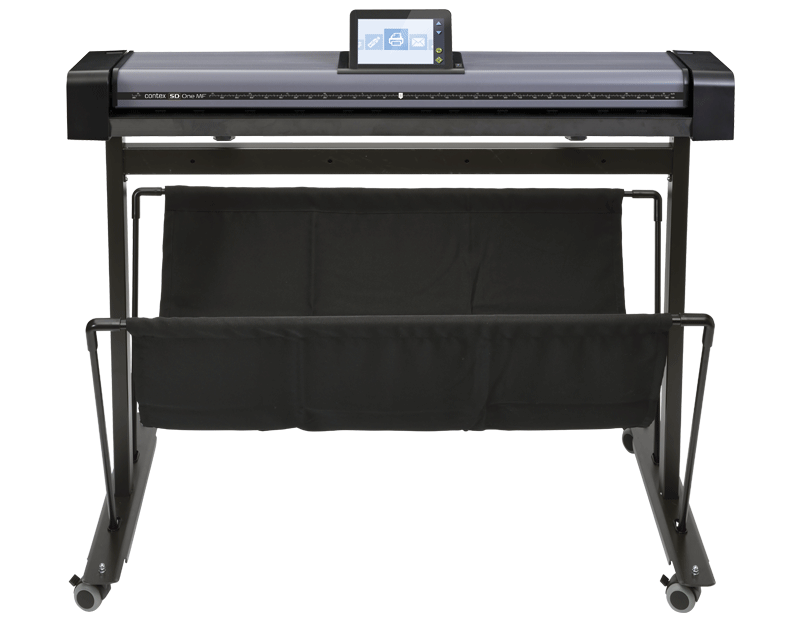 HD Ultra is available in 36-inch and 42-inch scan widths and designed for all types of workflow and projects. This scanner meets the need for heavy use, automation, careful handling of fragile and thick originals and so much more. The scanner can scan, copy, file and archive large format images, drawings and documents with impeccably high color accuracy. As well as great image quality, with the HD Ultra, you also get other useful benefits like the electronic Automatic Thickness Adjustment Control (ATAC) top-lid system and user-configurable keypad functions. HD Ultra can adapt to any high-pace environment – effortlessly. All the Contex HD Ultra models include a 2 year Parts warranty. The new HD Ultra delivers the best quality image in the world today. No matter whether you scan maps, drawings, posters or fine art, you’ll always capture every detail, on the first try. 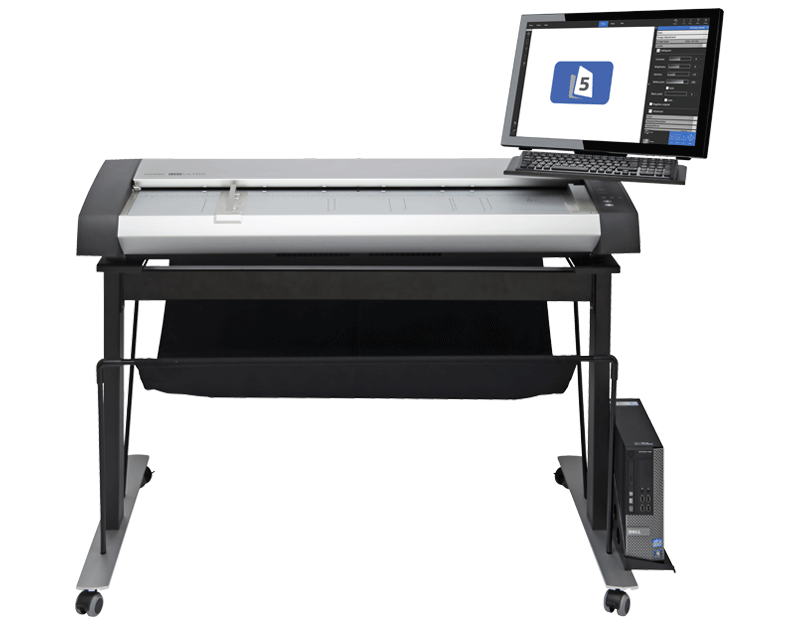 Designed to meet the needs of technical experts, graphic professionals and reprographics departments, the new HD Ultra is simply the best large format scanner available. Choose between 36 or 42 inches width, each in three different configurations to fit your needs for productivity and image quality. A space-saving MFP version is also available. The HD Ultra is built for productivity, and the key to productivity for high-volume applications is speed. Not just “inches per second” but actual throughput. Able to scan three times as many documents in a day as any other scanner and designed to improve document management, the new HD Ultra is all about helping you win projects, boost productivity and lower costs. Compatible with AutoCAD®, ESRI® and other software and printers like HP, Canon, Epson etc., the HD Ultra is astonishingly versatile. Automated paper thickness control, intelligent document size detection, and the ability to handle challenging documents effortlessly mean you can just keep scanning, boosting productivity, winning new business, and ensuring a fast return on your investment. Our multifunction high-stand option for the HD Ultra turns your large-format printer into a high quality copier while saving space. User upgradable – Need color? More speed? Higher resolution? OUR PRICES INCLUDE ACTIVATION LICENSES AND FREE SHIPPING! Prices above do NOT include scanning software or stand. Please see the accessories tab for those items. TWAIN drivers available for use with EDM and other imaging software. 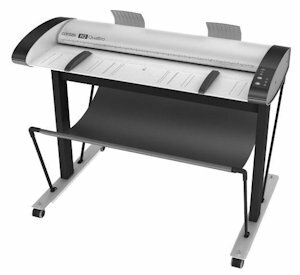 ALL 36" HD Ultra Series models can be user upgraded to scan 42" area wide documents. Both the 36" and 42" HD Ultra Models use the same "base machine". The configuration on the scanner is program based and will be "unlocked" depending on which model you purchase. Scan Area, Speed, and Color are your 3 (x3) variables.